I read a lot of blogs - some weight-loss, some weight-maintenance, some running, some just because they're hilarious. One of the running blogs that I torture myself by reading - really, I don't know why, because the blogger is probably my oldest son's age, has the body that I never had nor will I ever get, and runs a gazillion miles a week with seemingly no injuries or pain - anyway, she recently asked her readers to send in pictures of them in their prom dresses, so they could make fun of their crazy fashion style. Well. Lemme tell you - these pictures are all from just a few years ago. These girls have bodies that, again, I never had...nor, if I'd had that body, would I have exposed it like they did in some of those dresses. Yes, I realize that I'm sounding like a cranky old lady, but honestly? I can't relate to those prom photos. So I'm asking you, my readers, more of whom are probably over the age of 24, to send me your prom pictures and we'll have a REAL fashion show. 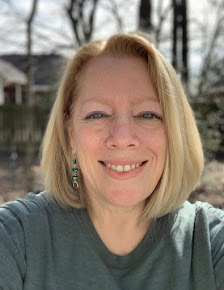 I want to see the awesome dresses of the 70s and 80s and even the 90s - let's all take a trip down memory lane and look at the fashions, hair styles and how good our bodies looked, even if we didn't appreciate it at the time. 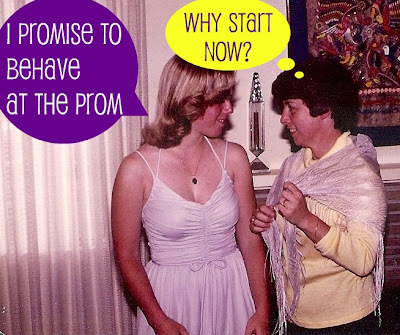 Email your pictures to 40somethingsjourney@gmail.com, and in a couple of weeks, we'll have our own prom fashion throwdown - old school style! Just to get you in the mood, here's a few from my prom - this was my senior year, also known as the only year Shelley ever went to any formal dances (everybody: awww!). We both wore glasses but took them off for the picture. I loved my lavender dress, but it took me years to realize that it is not a good color for my pale skin. Sigh. Those arms. How I miss them. And that flat stomach. If I could have only seen into the future. My boyfriend's father owned a jewelry store, and set a large amethyst into a necklace to go with my dress for the Prom. I think he also let me pick out a ring to wear, too. And no, I didn't get to keep either - boo! I'll have you know that I worked hard with my curling iron to get those flippy curls. The blotchy skin is thanks to a day at the beach a week before the prom, trying to get tan. I got burnt instead - story of my life. OK, and here's a picture of the after-prom party. They didn't do lock-ins like they do now. My sons had an alcohol-free after-prom bash. We had our own bash - can't remember who's house we were at, but I'm sure their parents didn't mind. Also? It was definitely not alcohol-free. Incriminating Polaroid - fun times, fun times. OK, it's YOUR turn. Send in the pictures! and I actually think I know where mine is. I love it and I love the comments you added to the pictures. But I look forward to everybody elses dresses. LOL!!! OMG, I love this, Shelley! Gotta go dig mine out...what til you see my HAIR!!! I went to the prom with a chubby little boy (a guy) who went by the name of "Beef." Not Beef-Cake. Just "Beef." So I wonder if my old pictures ever made it through, hmm? What a great idea! Oh yeah baby I've got some lovely 1970s baby blue tuxedos and Gunny Sax photos to send your way! Ha Ha Hilarious - not you just the pictures, I love digging back to my youth. I too wish I would have looked deeper because when I look back I keep think "I was so thin!". You looked great and still do Shelley! Awesome idea! Love the pics! Look at you!!! OMG, I love this so much. A trip down memory lane. A stumble for me. I'll scan my picture today and send it to you. :) Ah, the skinny years. It was a fun time. Shelley this is hilarious!!!!!! You and I had the same hair. I love it! I will be submitting some! Great idea! 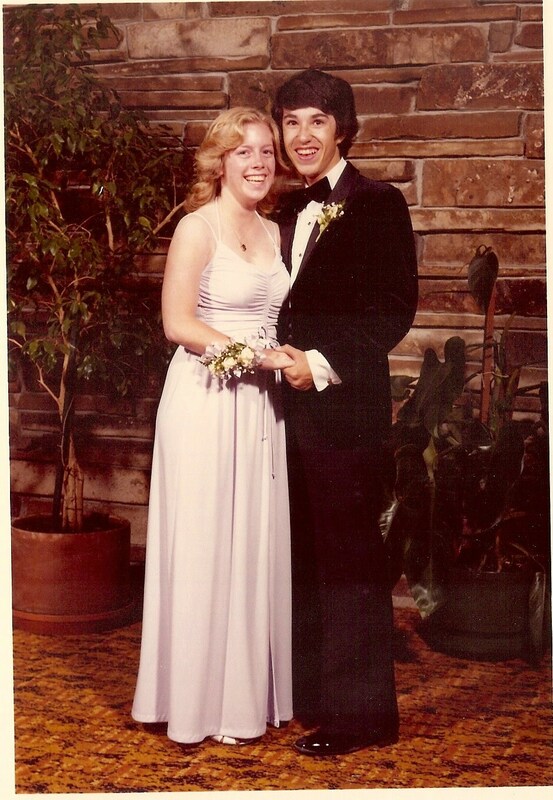 I have no idea where my ancient prom pictures are (or even my high school year book), but I certainly can still see the bright yellow dress and the gangly guy standing next to me in his dad's tuxedo. Hilarious memories! Oh fun!!! We didn't have proms up here in Canada but I have some really AWFUL 80's grad dresses (and a truly awful bridesmaid dress - big (really big) pink and purple floral taffeta with HUGE sleeves and a bow on the bum that was bigger than the bum itself) to share. I'll dig out the pictures if I can. Have a great day Shelley! I need to go through my old pictures!! How do you get old pictures onto the computer? Scan them or what? And when I saw the first picture of you, it made me think of movies where they find a kid to play the part of the actor as a child. Like it was not you, but someone playing the younger you. I would, but I fall into the under 24, went to school in the 2000s category...AND, I didn't go to prom. :) I was too busy skiing! You know, I never went to my prom. Instead, my 18 year old self went to a Chippendale-type revue. Love your pictures. I grew up in Toronto and we had proms only we called it "The Formal." I believe I attended three in high school, but I don't think I had my picture taken at any of them ... even then I was avoiding the camera. I'll have to see if any candid pics have survived from the '70s. I didn't get to go to my prom. We were pretend hippies and my bf who became my husband refused to go. He had graduated years prior. Plus he was a dork. So I didn't go. I sort of regret it because owning some bad photos like yours would be the highlight of my week. Maybe I'll dig out some Rogue photos. The Easter ones with my fabulous pin-curls should be good. Thanks for the advice Shelley. I think I stick to my routine too, don't want to change much the last week before the half. Just read on Twitter that there will be extra water posts if it's warm so that's a bit of relief. I will finish, maybe I have to walk a bit more, but finishing I will! Waaaaay too social awkward to go to prom. Sad, huh? How cute are you??? This is a scream! I'll try to find my photo. It was from junior prom, though. Didn't go to senior prom. Got asked by two WRONG guys. Went to Chi-Chis and then to the drive-in with other dateless friends. Can't WAIT to see what you compile, Shelley. Oh my gosh - that's awesome! I am going to look through my photos - I know exactly where they are. Sending you them tomorrow! Is that Donny Osmond nibbling your toes? Also, did the guy on the right die of an eyebrow-related injury? What a great idea! I can't wait to see them! Oh Shelly! This is the cutest idea. I will have to look for pics, but I know exactly where that goofy dress is right now. HA! 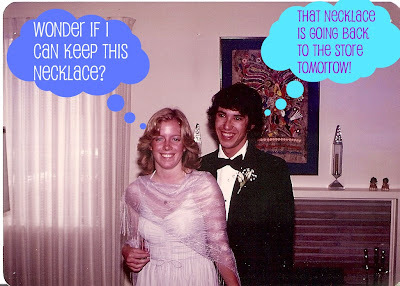 We didn't really have a prom in the traditional sense; there was a dance that we all went to but it was boarding school so there weren't any of the regular rituals of after-parties, etc.